I am a big fan of Brett Thorburn, the founder of Houghton Cider Company. He’s passionate about what he does, passionate about the Adelaide Hills and most importantly passionate about cider. 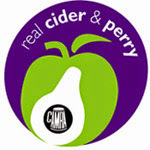 He is working tirelessly to try and educate consumers about 'real' Australian cider and help build a strong industry. He has created things like a 2012 Houghton Cider School presentation on his website (www.houghtoncider.com.au) which is informative, educational and an overall good read. He is also working on another initiative called the International Cider Guild, which is a collaboration of different cider producers from around the world. 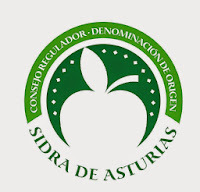 The goal of this guild would be to promote cider from all over the world and educate consumers. Everything Brett is doing and setting out to achieve is only going to help Australia become renowned for making quality ciders and perry’s, with consumers in the end being the winners. Sounds perfect to me! Now to the cider itself! I was so excited to get my hands on this cider and give it a go. I had been following Brett and the Houghton Cider Company for awhile and was so impressed with everything he was doing. But I’d lost sight that “Oh yeah, he makes cider hey? !” So I was intrigued to see if he could back his cider pledging up by making a good, honest cider himself. Well the answer?......You little ripper!! The cider manages to encapsulate the Adelaide Hills into a bottle, and it’s super impressive. Firstly, the cider is a little darker in colour showing off a nice golden tinge. It’s been made purposely to have only a small amount of carbonation, which I am seeing in a lot of Australian made ciders. It is also filtered and completely clear and brilliant. Nose wise, this cider is amazingly varietal with outstanding red apple characters from the red delicious and jonathon apples. The aromatics just jump out at you, with floral notes and tropical fruits. The nose smelt strangely like mangoes….yeah I was surprised too. But it all works and what you get is this aromatic burst like freshly pressed apple juice. Ciders retain their varietals much better at cooler fermenting temperatures and this is no exception. The palate is beautiful, clean and crisp with the granny smith apples offering nice malic acid freshness. There is a small amount of apple sweetness and just a touch of bitterness on the back palate. The light fizz helps excite the mouth feel too, overall giving a great drinking experience. What I love here is the amazing Adelaide Hills apples which offer so much and make this cider a pleasure to drink. They are the real hero's here in this very well made cider – similarly to the Hills Cider Company. I would recommend anyone to head out and find this cider as it’s a cracker and you know it’s made with only the best intentions. Good cause, good philosophy, great cider! Super job HCC!